Can't find custom-fit mud flaps for your car or truck? It can be hard to find specific parts for some vehicles, especially those that are older. Husky Liners universal fit mud flaps give you an option to improve the look of your truck, car, or SUV and protect it from damaging rocks and other road debris. These mud flaps will also help keep your ride clean. Husky uses molded thermoplastic material to ensure that these splash guards can withstand years of temperature extremes and exposure to the elements. In fact, Husky offers a lifetime guarantee against cracking or breaking. Installing a set of these mudguards will be fairly simple, although there is some minor drilling needed. Husky Liners does include all the hardware you'll need and the instructions are easy to follow. 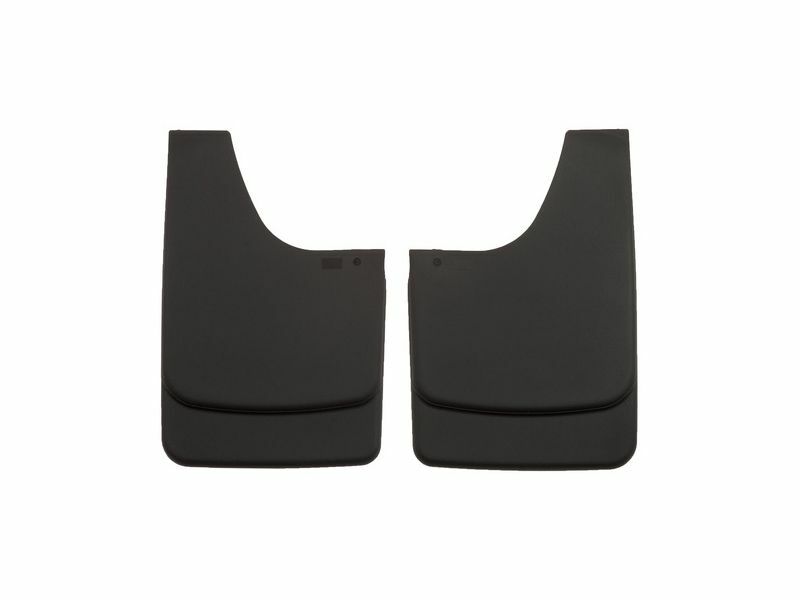 Protect the finish of your car, truck, or SUV by adding a set or two of Husky Liners universal fit mud flaps. All mud flaps are made in the USA and sold in pairs for your convenience. Husky Liner is offering a limited lifetime warranty on the Husky Liners Universal Fit Molded Mud Flaps. Universal fit molded mud flaps from Husky are easy enough for anyone to install. There is some minor drilling required for installation but the directions that come with will walk you right through the whole process. For additional information or if you have any questions about Husky Liners mud flaps, please call us a call 877-216-5446.